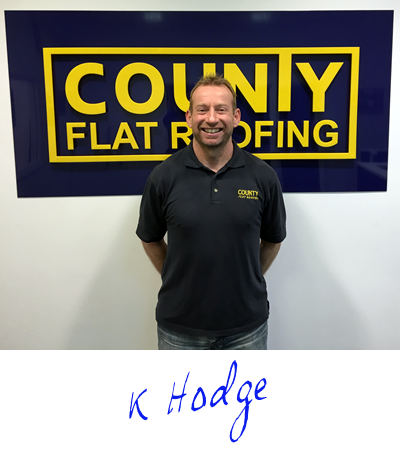 My name is Kevin Hodge, the owner and founder of County Flat Roofing for over 30 years. Over the years we’ve solved all sorts of flat roofing problems, big and small, and have grown a reputation for providing a quality installation and service. We pride ourselves on providing a customer service to be proud of and instill into our personnel the importance of treating the Customer with respect at all times.